Hailing from Turbat, Baluchistan, A co founder of Pakistan’s #1 social startup of 2015 – Youth Impact, Nisar Moosa is a social entrepreneur, trainer and an activist for Experiential Education. A fierce advocate of 21st century education by choice, Nisar has studied the best models of learning practiced all around the world. He believes that education, learning and consequently training and development should be redefined in a way that encourages creativity, experience and empathy. This lands him at Training Impact. He sees Experiential Education as a cause that should redefine the way we approach learning. Creativity is Nisar’s playground. 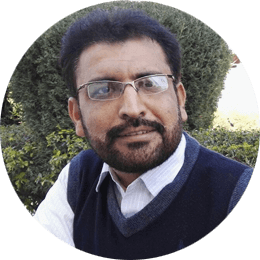 He is the inventor of Smart Tajir – an experiential entrepreneurship development Training Program for youth, True North, a mindset development program for Teachers and various other innovative Training Programs in Pakistan. Over the last few years, Nisar has worked with large school chains, rural educational setups, colleges and NGOs. Nisar’s Training style is out of sight, out of mind. He engages like very few. His hallmark is energy, humor and inspiration through unheard stories. To the corporate world, he brings an experience of 10 years and deep knowledge of world’s best practices in training, innovation, problem-solving and people development.